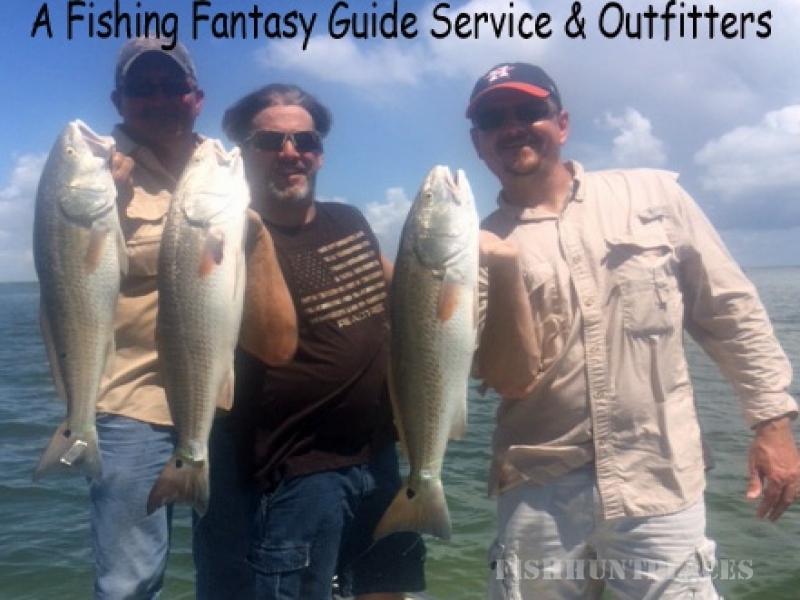 A Fishing Fantasy Guide Service & Outfitters offers saltwater bay fishing and guided hunting from Corpus Christi Bay, Upper Laguna Madre, Nueces Bay, Redfish Bay, Aransas Bay, South Bay, Copano Bay, including Port Aransas, Aransas Pass, Rockport, Fulton and Lamar, Texas. 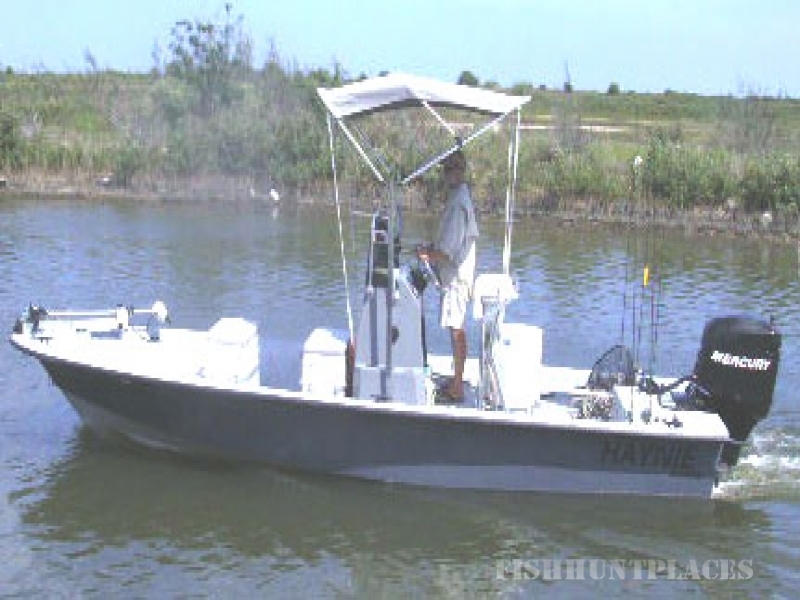 The world famous waters of the Texas Coastal Bend are legendary for the trout, redfish, drum and flounder they produce. 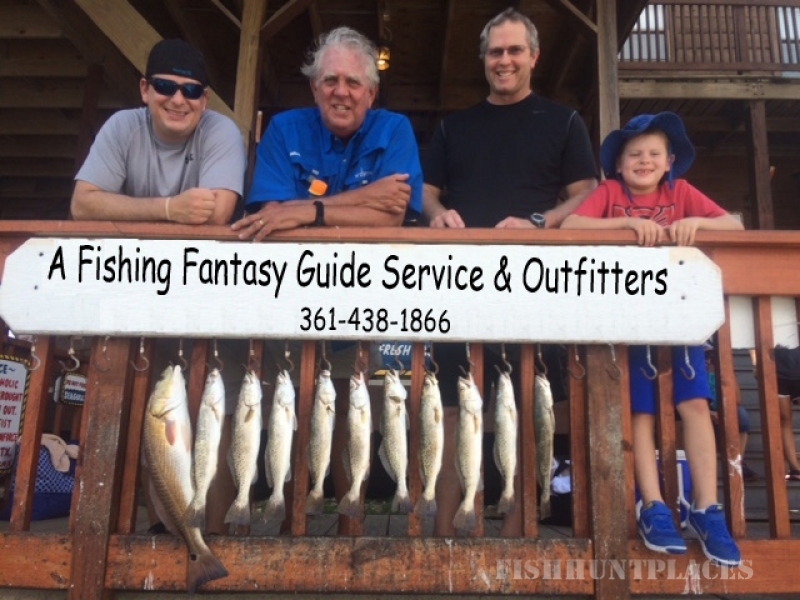 Captain Mike O’Dell knows where to find the speckled trout, redfish, drum or flounder no matter what time of year you are planning your trip. 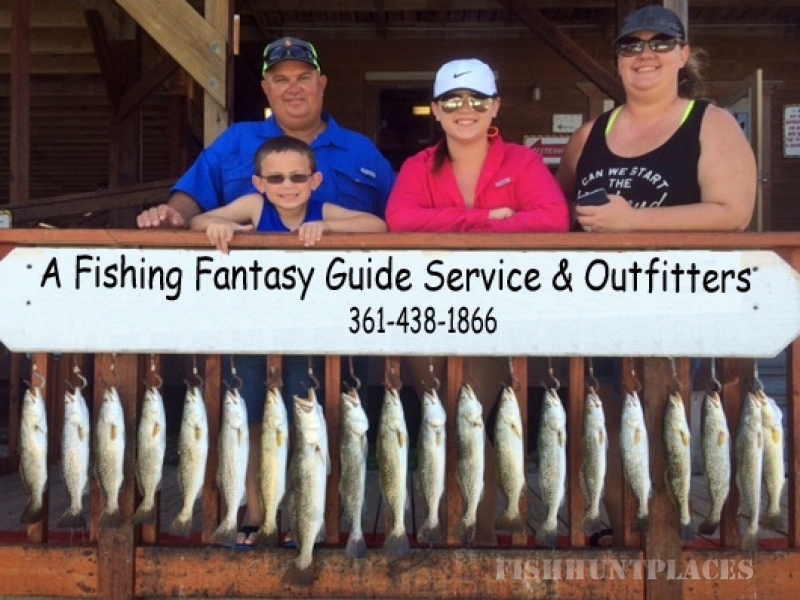 Come on out and join your fishing guide, Captain Mike, for a fun-filled day of Texas bay fishing in Aransas Pass, the jewel of Corpus Christi and the Texas Coastal Bend. A Fishing Fantasy Guide Service & Outfitters also offers guided hunting trips for ducks and dove. The Texas Coastal Bend is home to some of the best duck hunting around. We offer duck hunts (red heads, pintail, widgeon, bluebill, bufflehead, gadwall, blue wing and green wing teal, black ducks, modeled duck, mallard ducks, and canvas back) with blinds from Port Bay, Copano Bay, Redfish Bay, Corpus Christi Bay, Upper Laguna Madre and the King Ranch Shoreline. Capt. Mike also offers guided cast and blast trips and bowfishing. See our hunting page or call us at (361) 438-1866 for more information.